Guy Brothers Roofing - Residential and Commercial Roofing Contractors - Pensacola, Milton, Pace, Gulf Breeze in Northwest Florida Guy Brothers Roofing Contractors - Pensacola Roofing Company - Pensacola Roof Repair - Pensacola Roofing. 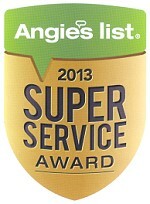 because we deliver service that exceeds our customers’ expectations! 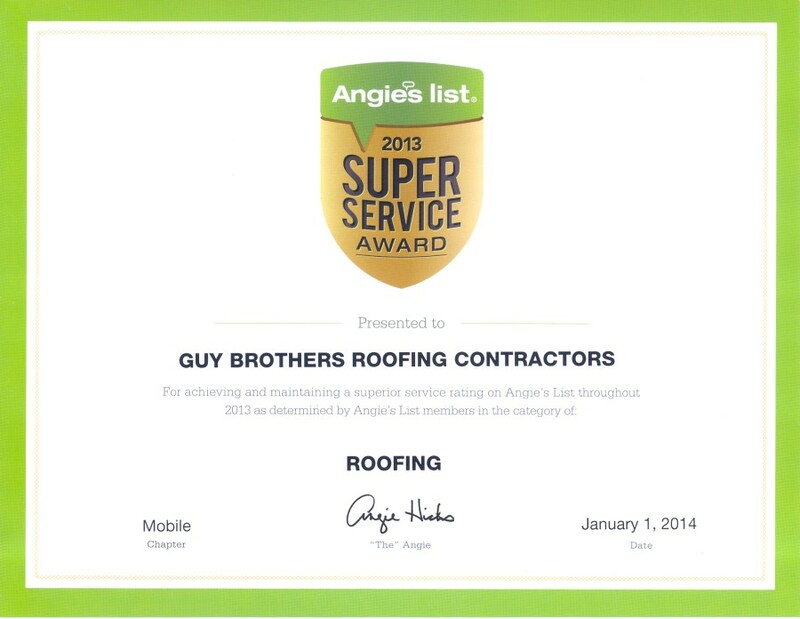 Welcome: Guy Brothers Roofing, Northwest Florida’s top choice for professional roofing services. For over 45 years, Florida homeowners have depended on Guy Brothers Roofing Contractors to install the highest quality products, correctly, on-time, and at the best value. 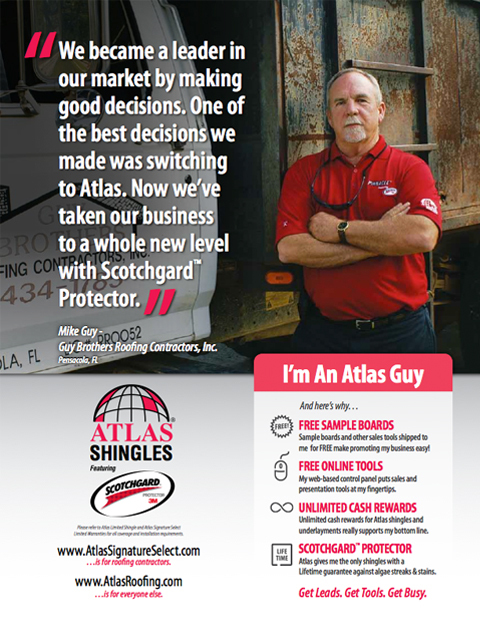 As an Atlas Preferred Roofing Contractor, Guy Brothers Roofing has the expertise to install tile, shingle, and flat roofs to the exacting standards required by Florida building codes and manufacturers' recommendations. We are licensed and insured, and we always provide our customers with exceptional customer service and professionalism. As part of our pledge to provide the best possible service, we offer a written estimate, a written guarantee, and we will pull all necessary permits for the job. At Guy Brothers Roofing, we understand that for both residential and commercial roofing you need a roofing company that you can depend on; one that has the experience, integrity, and resources to get the job done right. This is our commitment to you. At Guy Brothers Roofing, our mission is to provide value to our customers by installing and maintaining roofing and components with a high level of quality and efficiency.